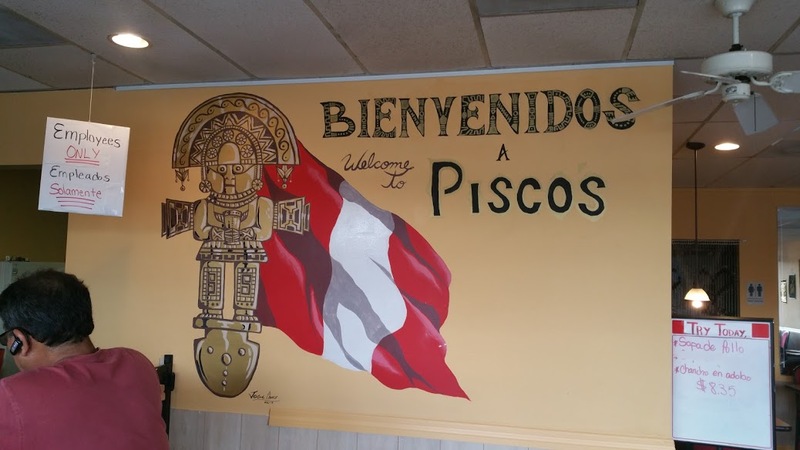 It has been years since I have visited Pisco’s. My last time here, it was a typical hole in the wall strip mall restaurant, serving up some surprisingly good food. 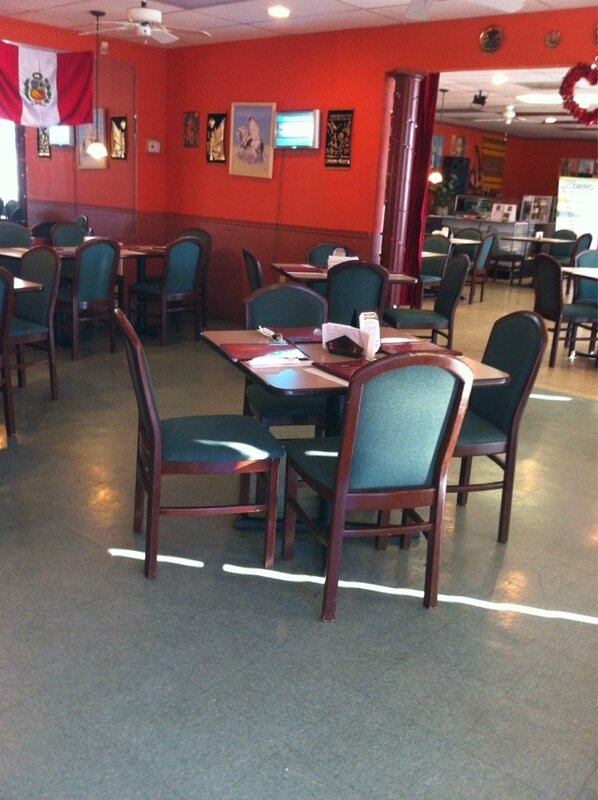 It is still doing the food part but the space has been enlarged, brightened up and for sure is much more appealing. 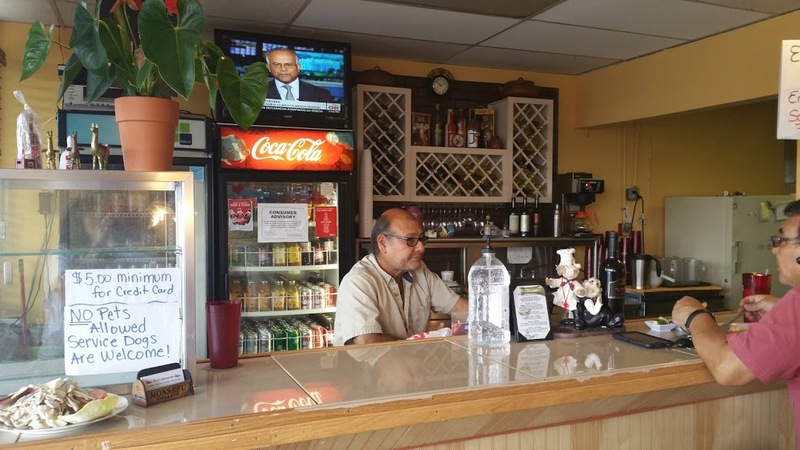 The original counter is still in place, and the kitchen remains unchanged, but the addition of the next unit offers a more welcoming environment. I was pleased to see the menu was unchanged, and a few of my favorite dishes still were available. 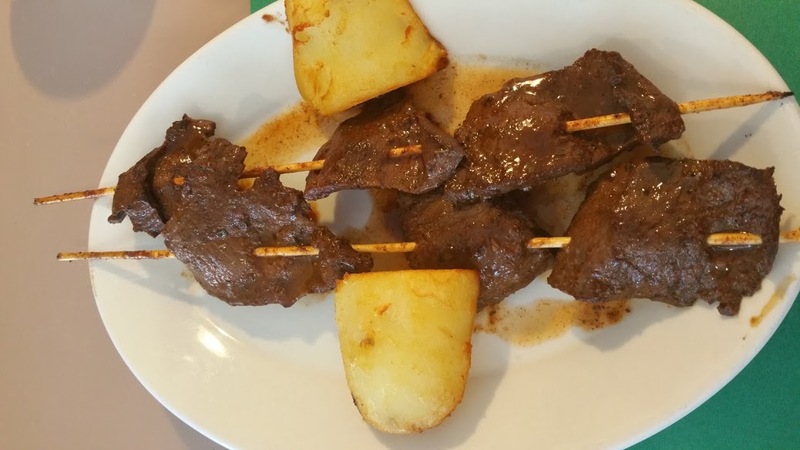 We started with my most favorite dish, Anticuchos, ( Marinated Beef Hearts with boiled potatoes). The meat is slice quite thin, and marinated until tender. I have no idea what potato type they use, but the starch content is quite high and compliments the meat nicely. 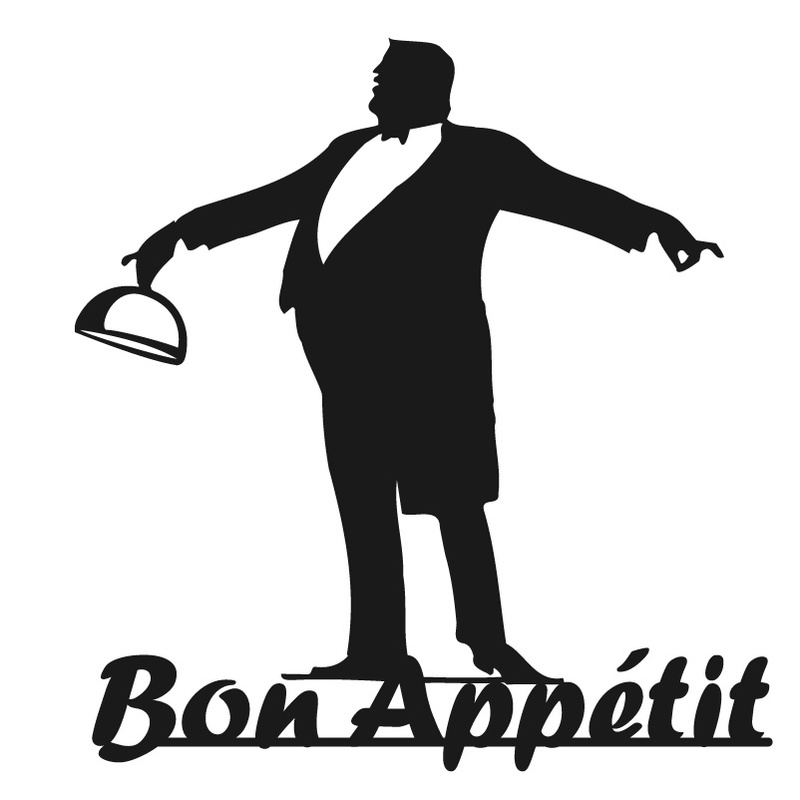 This is a most flavorful dish. Everyone who tried this dish was quite pleased. 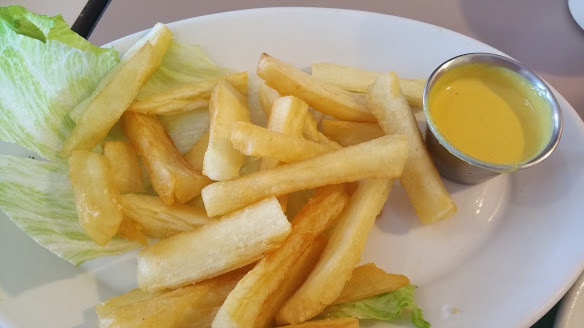 Next, Yucca Fries, for those of you not familiar it is a tuber, shaped like a sweet potato, but larger and darker in color, and is a excellent substitute for potato. Ours were nicely seasoned and served with a cheese dipping sauce. The portion is much larger than shown, some of my foodies refused to respect the ” do not eat till the picture is taken” rule. 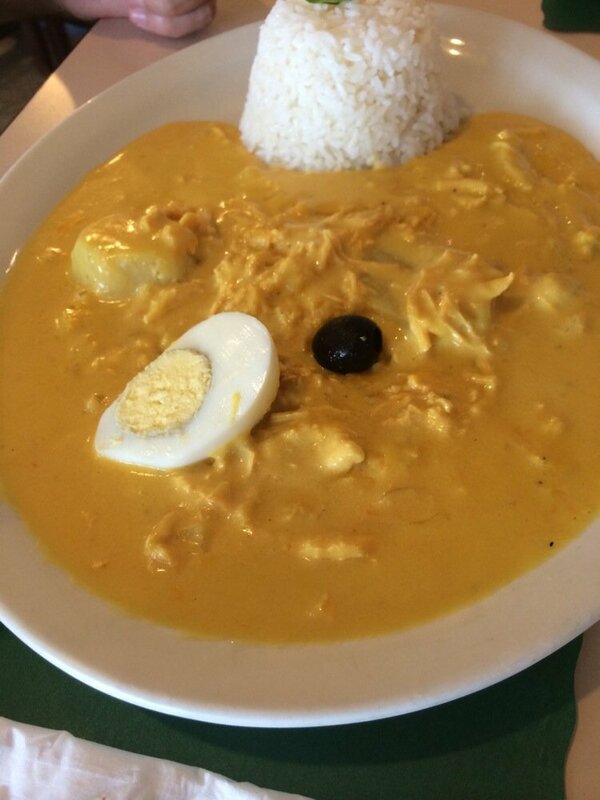 Next up we was the Aji de gallina, consisting of; shredded chicken in a spicy, nutty yellow sauce served with potatoes and a side of rice. The owner of this dish new to Peruvian food, was pleased with the choice, stating the sauce was very flavorful and textually quite nice. 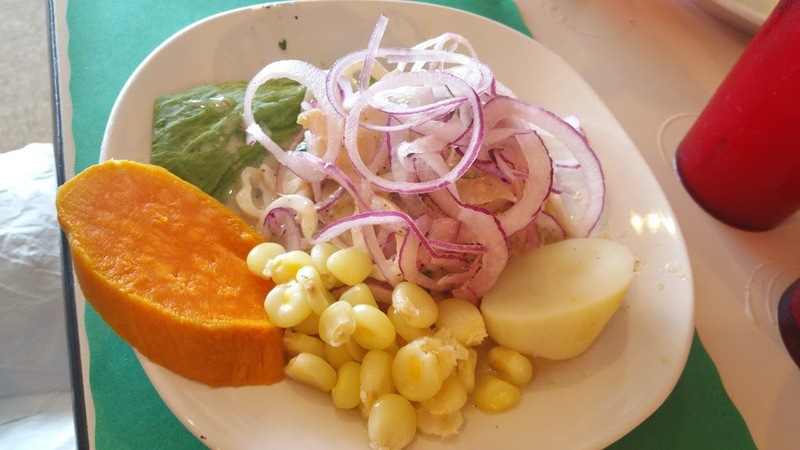 Two fish dishes were also ordered, Ceviche, marvelous pieces of fish chunks marinated in lime juice red onions and Peruvian chili; served over lettuce with boiled potatoes, boiled sweet potatoes and corn on the side. This may have been some of the best Ceviche I have tasted in a while. The corn is the traditional Peruvian corn with large kernels this is certainly different from our small sweet summer corn, but is very tasty and a welcome change of pace. I was just nice to look at as well. 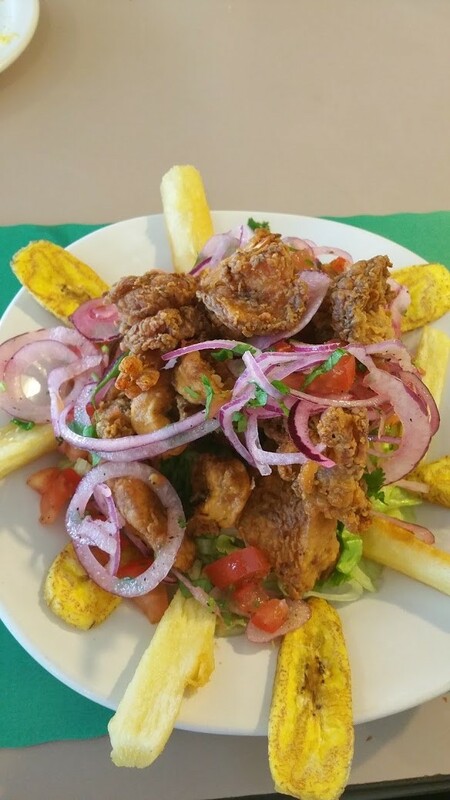 The second fish dish the Jalea Personal, a combination of breaded deep fried shrimp, calamari and fish topped with red onions and tomato salad with fried yucca and plantains on the side. This is my go to dish here, but today it was so very bad, it was not edible. The Shrimp and calamari were way over cooked, the white fish eked by the fry death. Disappointment is understated. Unlike me I sucked it up and just ate the fish. You can see buy this pic, how overcooked this dish was. This dish more than made up for the over cooked fish. Everything was cooked to perfection.. Well spiced not sticky it really was a pleasing dish full of fish pieces. Everyone share in this and it disappeared quickly. There was only one thing left to do and that was order dessert. 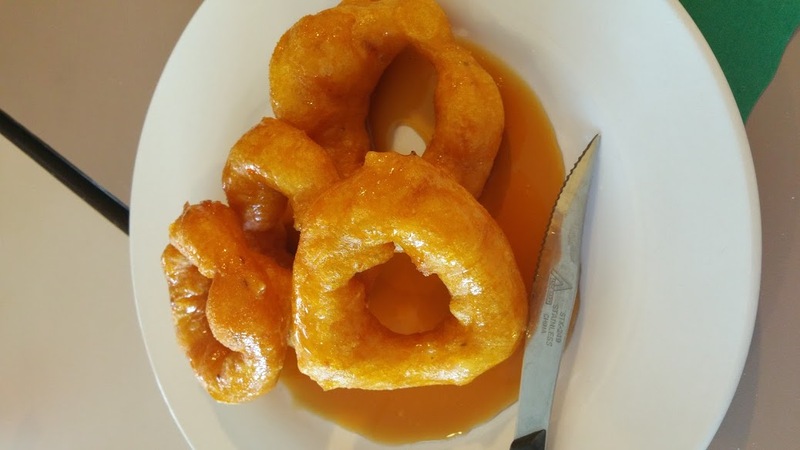 Picarones, a Peruvian donuts, and so sinfully good. Made fresh upon order, when they arrive they are still too warm to eat. These were quickly dispatched, and we pondered ordering more. 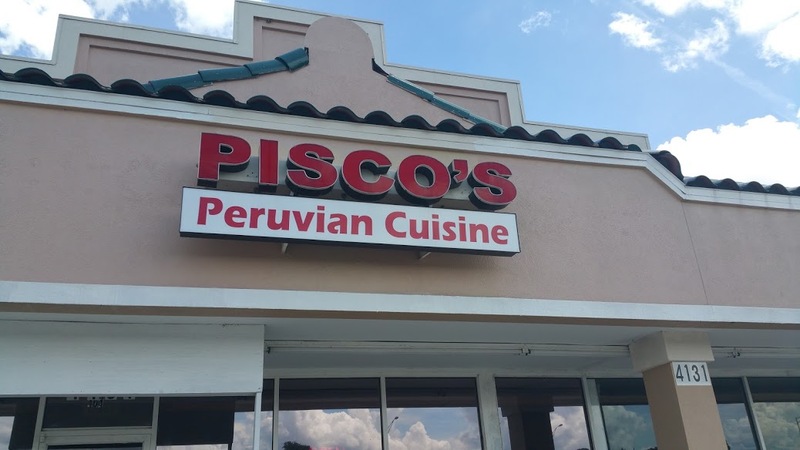 Overall Pisco’s is a change of pace from my usual fare, and if you and your crew are feeling adventurous take a trip and treat yourself to something new. 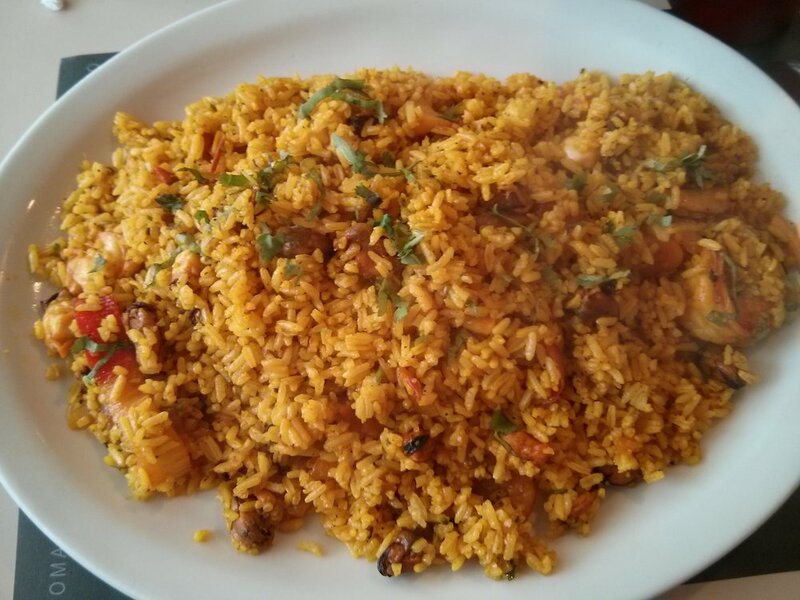 Prices are right, portions right for sharing.